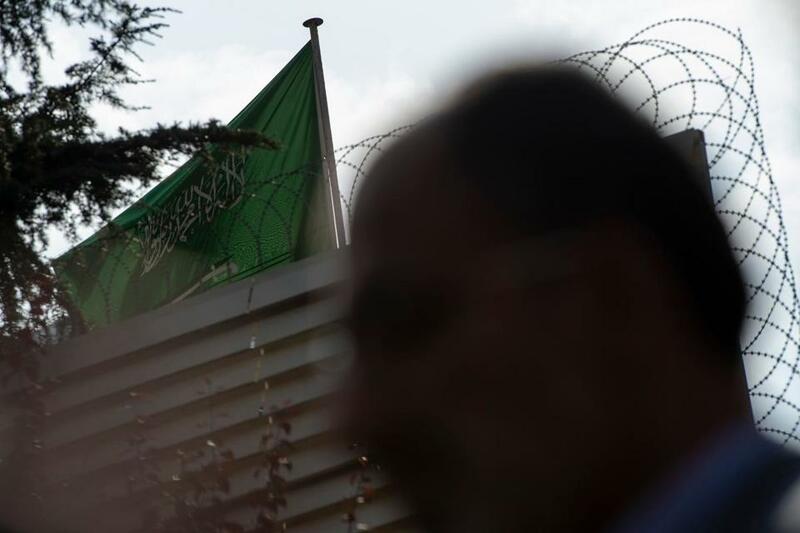 The silhouette of Turkish journalist Turan Kislakci, head of the Turkish-Arab Media Association, was seen next to the flag atop the Saudi consulate, while he addressed the media on Saturday. “The mornings were the worst for him because he would wake up to the equivalent of sustained gunfire online,” said Maggie Mitchell Salem, a friend of Khashoggi’s for more than 15 years. Khashoggi’s online attackers were part of a broad effort dictated by Crown Prince Mohammed bin Salman and his close advisers to silence critics both inside Saudi Arabia and abroad. Hundreds of people work at a so-called troll farm in Riyadh to smother the voices of dissidents like Khashoggi. The vigorous push also appears to include the grooming — not previously reported — of a Saudi employee at Twitter whom Western intelligence officials suspected of spying on user accounts to help the Saudi leadership. The killing by Saudi agents of Khashoggi, a columnist for The Washington Post, has focused the world’s attention on the kingdom’s intimidation campaign against influential voices raising questions about the darker side of the crown prince. The young royal has tightened his grip on the kingdom while presenting himself in Western capitals as the man to reform the hidebound Saudi state. Saudi officials Friday night said 18 Saudi nationals are being held on suspicion of being involved in the Washington Post columnist’s death. Officials said Khashoggi was killed after a quarrel at the Saudi consulate in Istanbul. This portrait of the kingdom’s image management crusade is based on interviews with seven people involved in those efforts or briefed on them; activists and experts who have studied them; and U.S. and Saudi officials, along with messages seen by The New York Times that described the inner workings of the troll farm. Saudi operatives have mobilized to harass critics on Twitter, a wildly popular platform for news in the kingdom since the Arab Spring uprisings began in 2010. Saud al-Qahtani, a top adviser to Crown Prince Mohammed who was fired Saturday in the fallout from Khashoggi’s killing, was the strategist behind the operation, according to U.S. and Saudi officials, as well as activist organizations. Many Saudis had hoped that Twitter would democratize discourse by giving everyday citizens a voice, but Saudi Arabia has instead become an illustration of how authoritarian governments can manipulate social media to silence or drown out critical voices while spreading its own version of reality. Neither Saudi officials nor Qahtani responded to requests for comment about the kingdom’s efforts to control online conversations. In one conversation viewed by The Times, dozens of leaders decided to mute critics of Saudi Arabia’s military attacks on Yemen by reporting the messages to Twitter as “sensitive.” Twitter automatically hides such reported posts from other users, blunting their impact. The specialists heard directors speak often of Qahtani. Labeled by activists and writers as the “troll master,” “Saudi Arabia’s Steve Bannon” and “lord of the flies” — for the bots and online attackers sometimes called “flies” by their victims — Qahtani had gained influence since the young crown prince consolidated power. 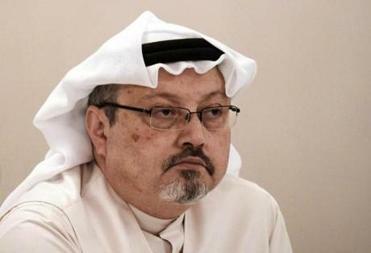 He ran media operations inside the royal court, which involved directing the country’s local media, arranging interviews for foreign journalists with the crown prince, and using his Twitter following of 1.35 million to marshal the kingdom’s online defenders against enemies including Qatar, Iran and Canada, as well as dissident Saudi voices like Khashoggi’s. Alzabarah had joined Twitter in 2013 and had risen through the ranks to an engineering position that gave him access to the personal information and account activity of Twitter’s users, including phone numbers and IP addresses, unique identifiers for devices connected to the internet. On Dec. 11, 2015, Twitter sent out safety notices to the owners of a few dozen accounts Alzabarah had accessed. Among them were security and privacy researchers, surveillance specialists, policy academics and journalists. A number of them worked for the Tor project, an organization that trains activists and reporters on how to protect their privacy. Citizens in countries with repressive governments have long used Tor to circumvent firewalls and evade government surveillance. After the report was issued, Alkami was arrested, the human rights group ALQST said. Abdulaziz said that Saudi government officials imprisoned two of his brothers and hacked his cellphone, an account supported by a researcher at Citizen Lab. Ahmad, the anonymous account, was shut down.